The In Win BQS656 Mini-ITX Desktop Computer Case supports standard mini-ITX motherboards for simple integration. 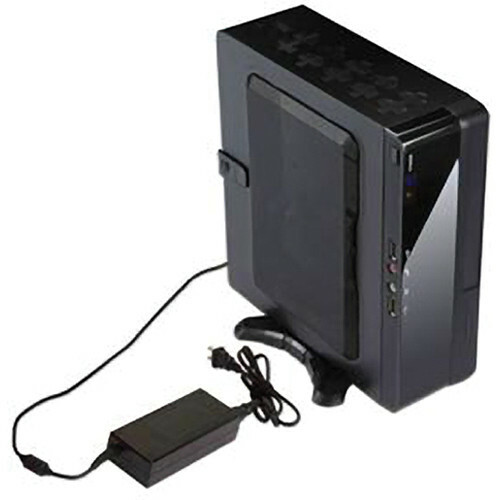 It uses an advanced dual-layer interior structure design that supports a DVD drive, hard drive, and 3-in-1 card reader. Internal Drive Bays 1 x 2.5"
Box Dimensions (LxWxH) 13.4 x 10.9 x 4.7"
BQS656 Mini-ITX Desktop Computer Case is rated 4.5 out of 5 by 2. Rated 5 out of 5 by RUTMAN22 from Excellent Cast Great Case! Delivery took FOREVER! like 6 weeks.